The tax computation compares the original cost, along with the stock value on January 31, and grants benefit of the higher of the two. Investors in companies undergoing mergers, demergers or consolidation may be staring at a higher tax outgo as they may not be able to take advantage of the grandfathering benefit in the long-term capital gains (LTCG) tax. Cost step-up, or grandfathering, applies to listed shares held on January 31, 2018. Until now, Section 49 of the Income Tax Act allowed carry-over of the cost of original shares for the new asset that emerged as a result of a corporate action such as merger, demerger or consolidation of a listed company. For example, the cost of shares of the amalgamating listed company could be carried over as cost of shares of an amalgamated listed company. However, the provisions of Section 49 do not allow for grandfathering. Recent clarifications by the Central Board of Direct Taxes (CBDT) also make no mention of such cases. This would mean that the tax liability to the seller would accrue on gains calculated by deducting the original acquisition cost for shares as against the deemed cost step-up, or the grandfathering cost. “While the law provides for tax neutrality for merger, demerger, stock split and consolidation transactions by allowing carry-over of the original cost to the new asset, the revised law levying 10 per cent LTCG tax does not provide for grandfathering or cost step-up as on January 31, 2018, for such transactions,” said Bhavin Shah, leader, financial services tax, PwC India. Shah said there could be a rush to sell equity shares held by investors in such cases before the record date. “The seller will be able to claim the cost step-up as a deduction and reduce the tax liability on LTCG if the shares are sold prior to the record date,” said Shah. According to Rajesh Gandhi, partner at Deloitte Haskins & Sells, even if the CBDT issues a circular as indicated on February 4, it is unlikely to allow the January 31 grandfathering benefit for shares received pursuant to corporate actions like mergers and demergers. “Technically, the grandfathering benefit will not be available if the shares are listed after January 31 because of how the term ‘fair market value’ is defined. This is of particular concern to private equity funds,” Gandhi observed. The tax outgo can be significant. Say, an investor bought shares of company A at Rs 10 lakh, 10 years ago. After merger with company B post-January 31, the investor now holds shares of the merged entity worth Rs 50 million. If the investor sells the shares after April 1 for Rs 5.5 crore, he will have to pay the 10 per cent LTCG tax on Rs 5.4 crore (Rs 5.5 crore minus Rs 10 lakh). Had the merger not happened, the tax would have to be paid only on Rs 5 crore (the selling price of Rs 5.5 crore minus the grandfathered cost of Rs 5 crore as on January 31). The grandfathering clause will not be applicable even if a listed company merges with an unlisted one. In this case, there is no fair market value reference provided for in the rules for an unlisted entity as on January 31, 2018. So the shareholders do not get a step-up in cost basis this reference date. “The proposed Section 112A to be introduced calls for grandfathering of cost only for listed shares. 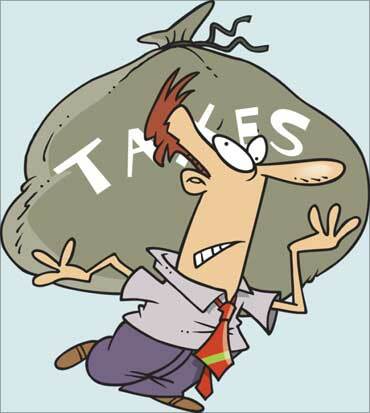 "The unlisted shares do not require any such grandfathering as they are already being taxed. Further, definition of ‘fair market value’ under this section includes within its ambit only the listed shares and units of equity-oriented funds. "However, where an unlisted company is merged with listed shares, it needs to be clarified how the gains on sale of shares thereafter of the new company will be taxed,” said Amit Maheshwari, partner, Ashok Maheshwary and Associates. “In order to provide flexibility to companies to take business calls, it is imperative that the law is clarified to bring corporate actions such as mergers, demergers, and offers for sale within the grandfathering framework,” added Bijal Ajinkya, partner, Khaitan & Co.
Why did BSE snap ties with foreign bourses? Is the Nifty heading for a crash? Grand plans, Mr Jaitley, but where is the money?